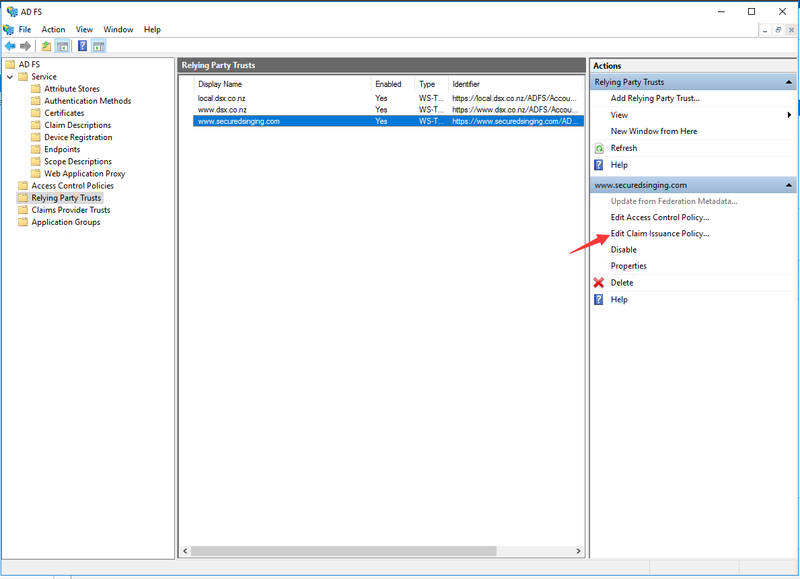 Setting up active directory federation services for use with Secured Signing will allow the nominated users within your domain to use the Secured Signing service using their network credentials. When the single sign on option is enabled in Secured Signing, logged in users will not need to enter their username and password in Secured Signing. 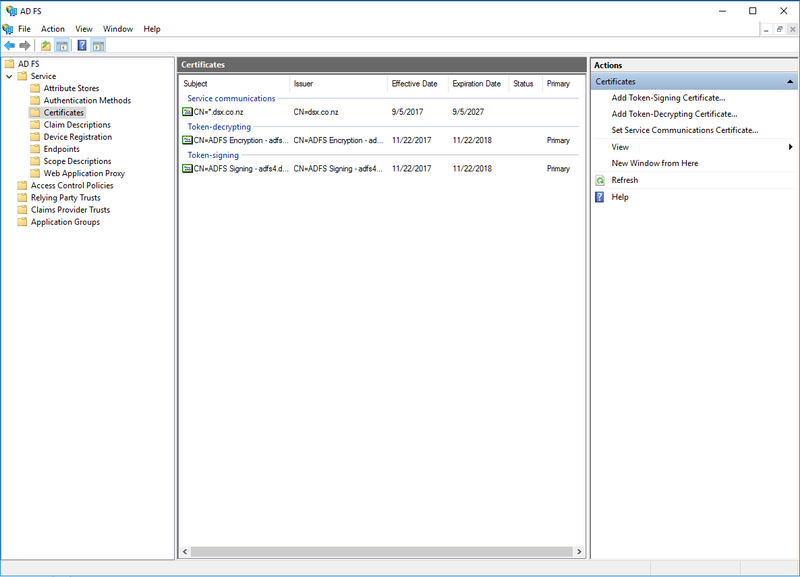 Configuration of your Secured Signing membership to accept authentication against Active Directory using federation services. Prepare a valid ssl certificate (.pfx file, with private key). This certificate will be used by the ADFS federation service website, so it should be valid with your ADFS website domain name. 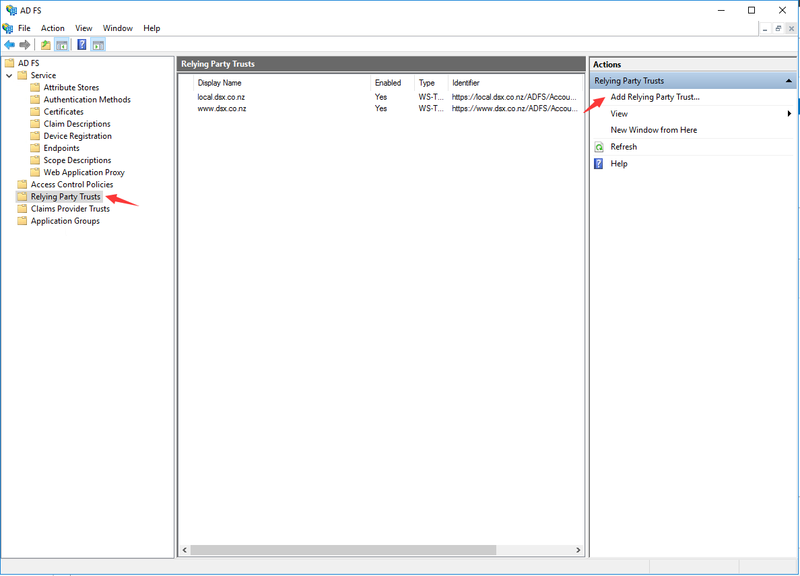 On Windows 2016, Open Server Manager, click “Add roles and features”, select “Active Directory Federation Service” on the popup, and press next to install new role. 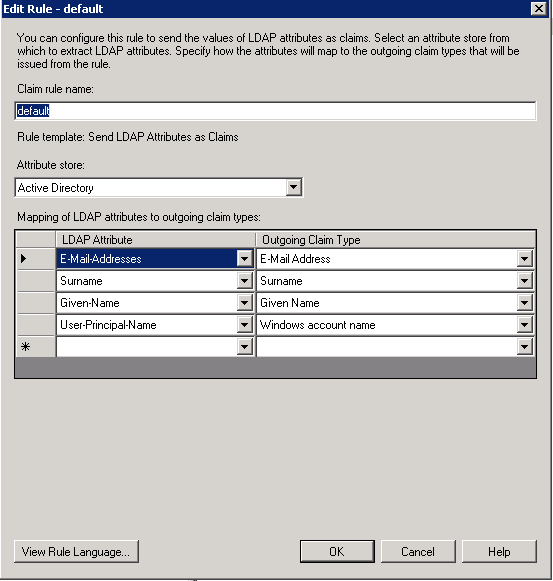 Run ADFS Management tool from Service Manger. 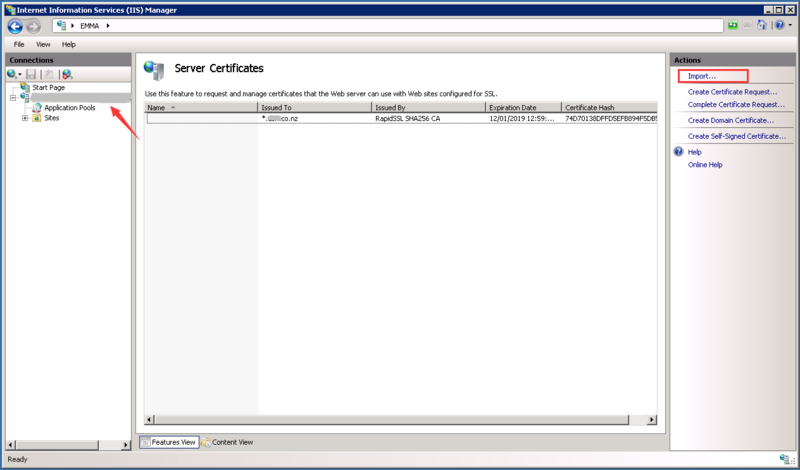 Click "Certificates", import your certificate to ADFS service. 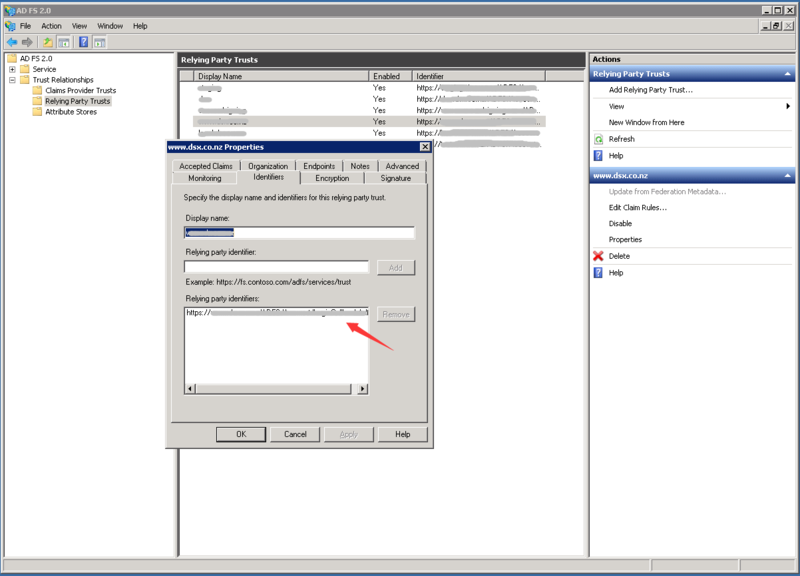 Open IIS, click server node, double click "Server Certificates", then click "Import" at the right action panel. 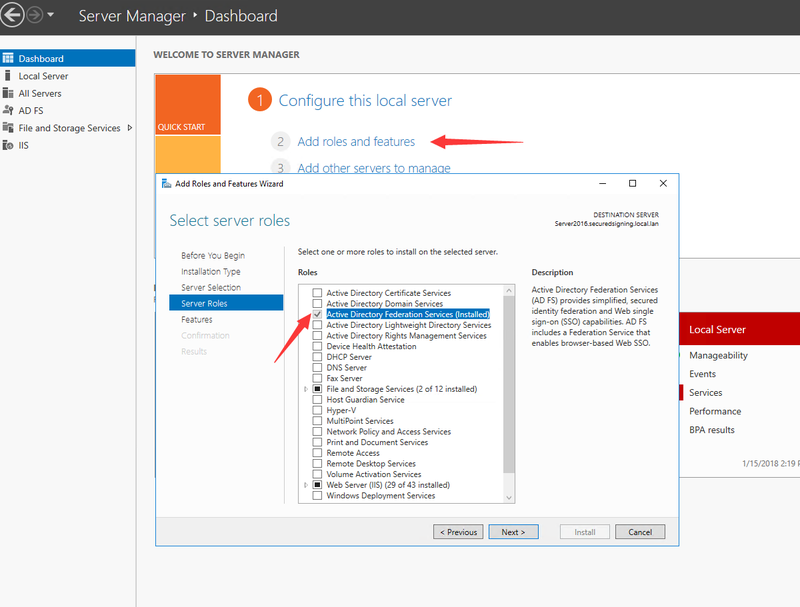 Run ADFS 2.0 Management Console as domain administrator. Run “Create new federation service” wizard. 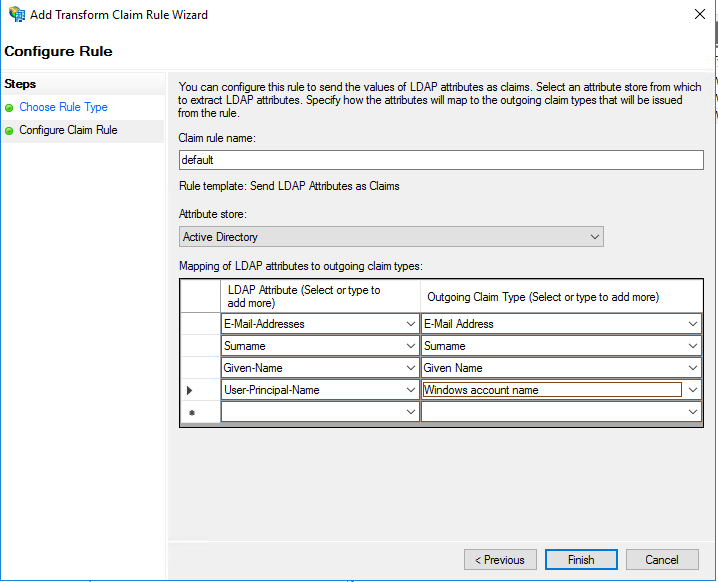 Use the certificate imported above to finish the configuration. 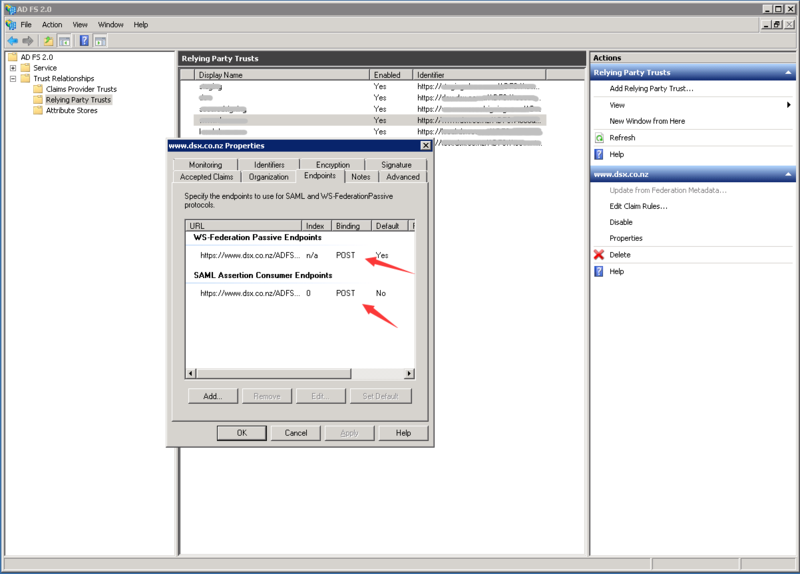 In IIS manager, go to the "Default Web Site/adfs/ls" application,. Double click “Authentication”, enable “Windows Authentication”. In the advanced settings window, select “Extended Protection” to “Off”. 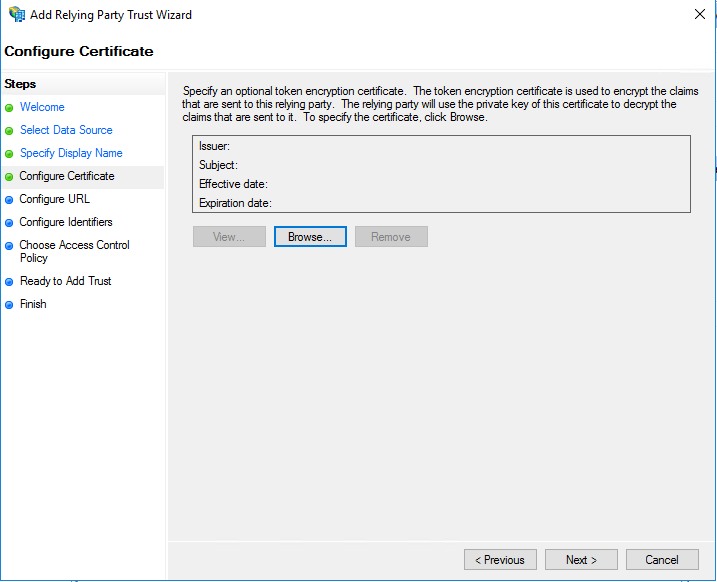 On IIS manager, add https bindings with above certificate to Default Web Site. 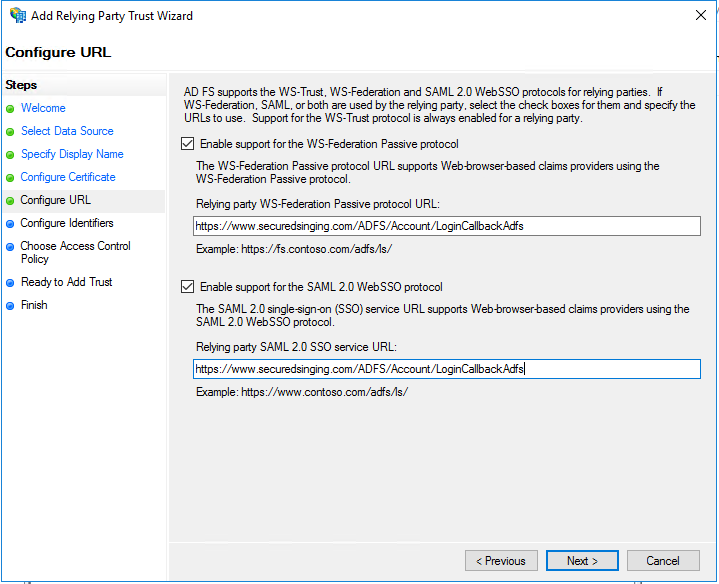 Once ADFS is ready, add a new relying party trust to the ADFS service. 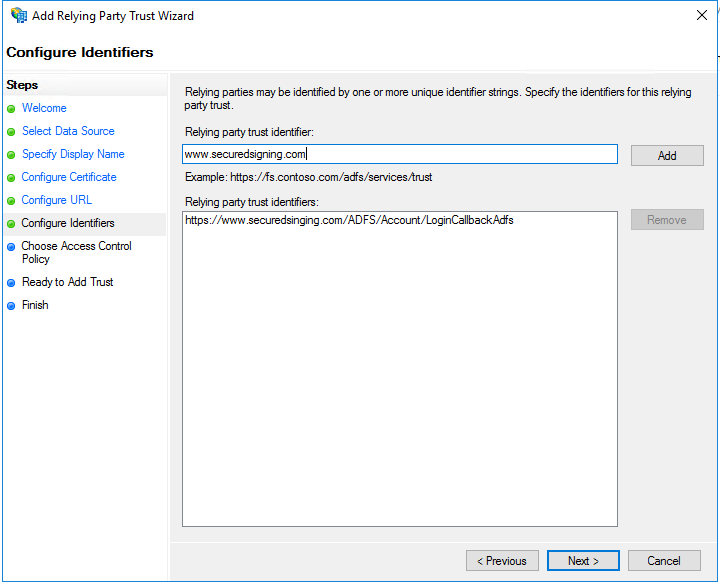 On ADFS Management, Click "Add Relying Party Trust"
Select "Claims aware" on the wizard popup, and click "Next"
Please notice that the rely party identifier is case sensitive. Please input the exact value. 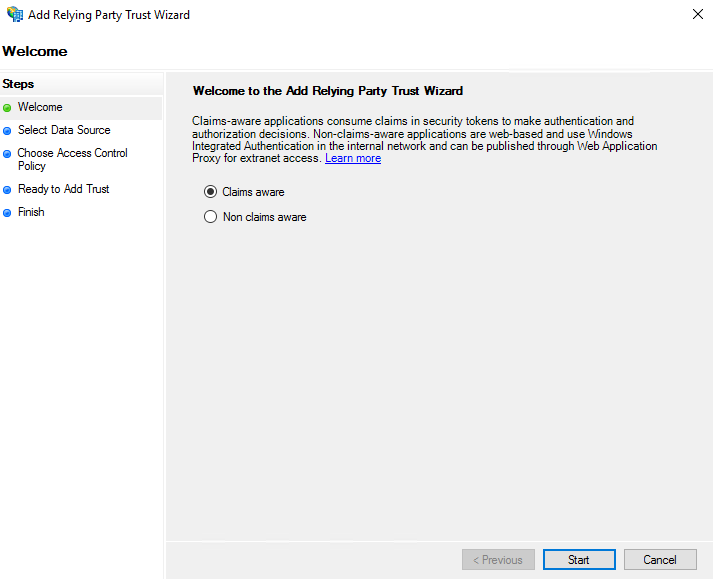 In the ADFS 2.0 console, run “Add Relying Party Trust” wizard. 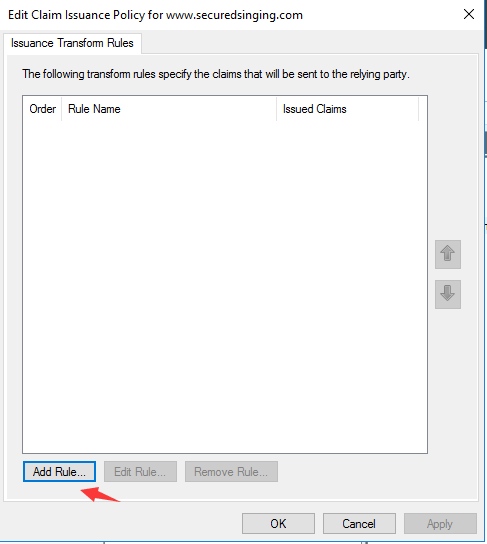 Click “Start”, select “Enter data about the relying party manually” option and click “Next”. 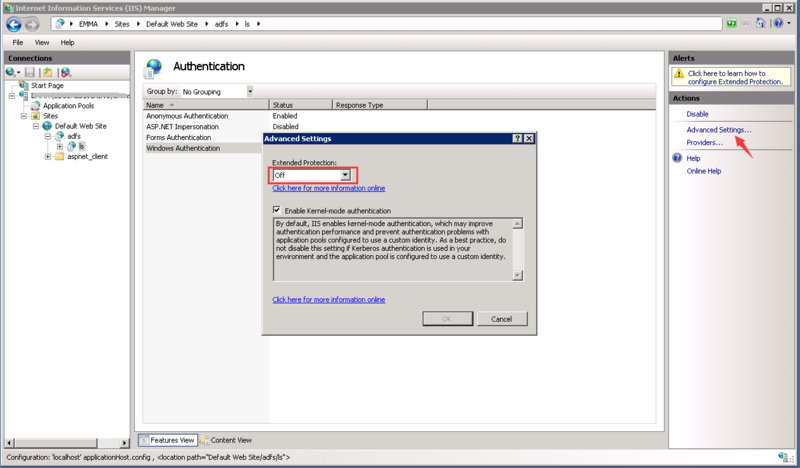 You need an enterprise account to integrate secured signing with your own ADFS server. Login to the Enterprise Portal and go to "Memberships". 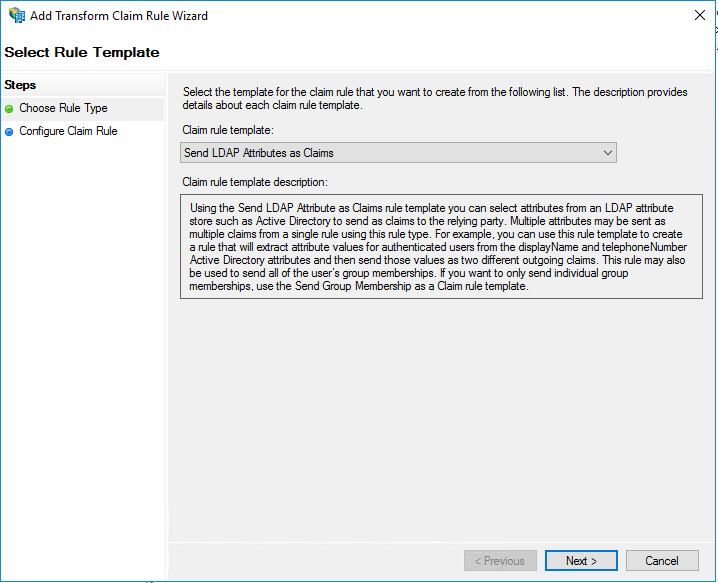 Select the membership that requires single sign on with ADFS. In the "Single Sign On" tab. 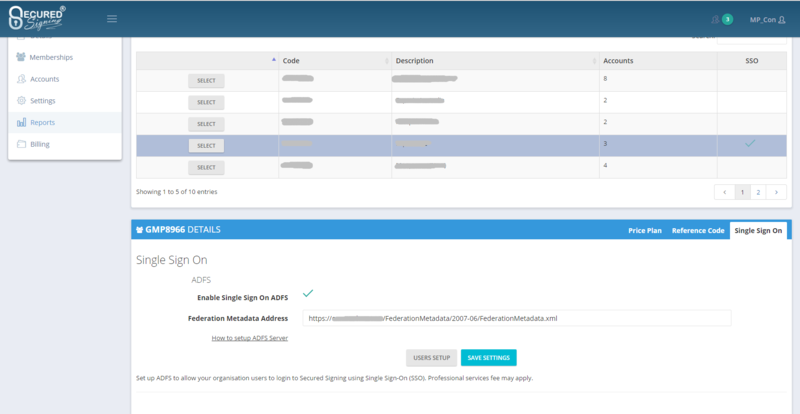 Enable Single Sign On and input your "Federation Metadata Address". Click "Users Setup" button. 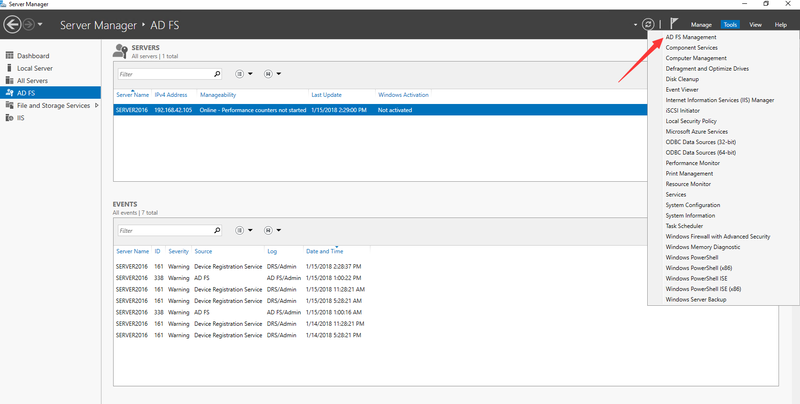 This will open the Accounts management page where you can manage your accounts to use ADFS integration. All accounts under this membership must login with ADFS. Users will no longer be able to authenticate using a username and password to access Secured Signing. 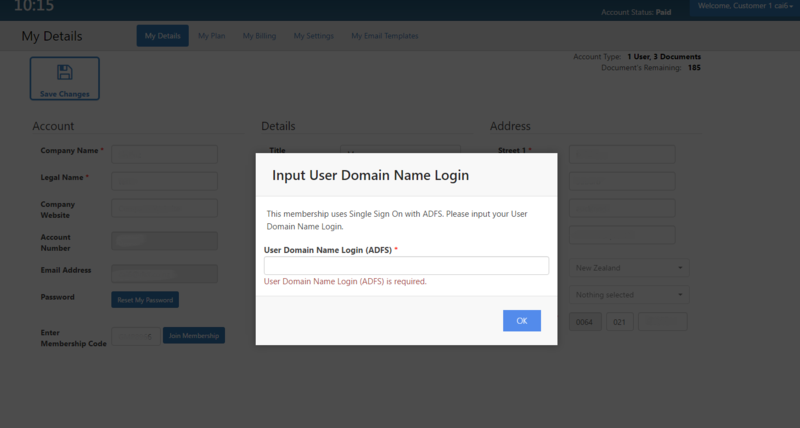 Select an account from the account list, input the "User Domain Name Login (ADFS)" and save. 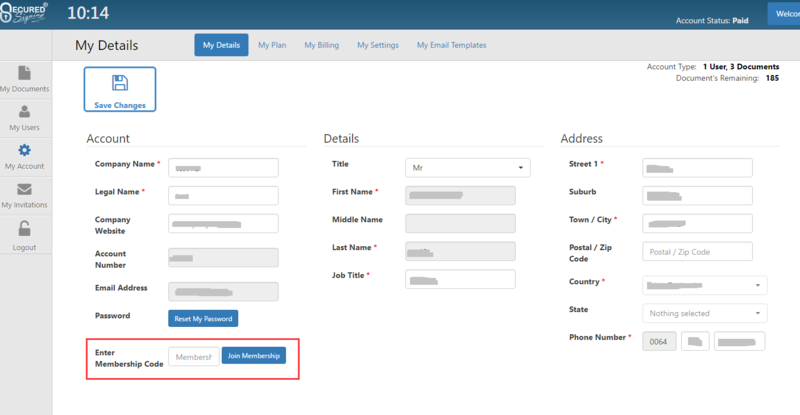 This Single Sign On input option is visible only when the "Single Sign On" has been enabled for the membership. 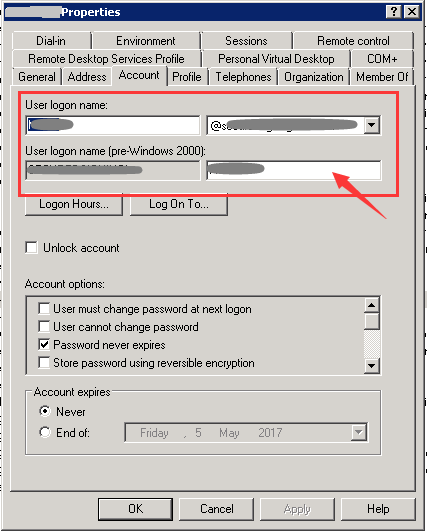 The User Domain Name Login should be in the format ‘Domain\Windows Account’. This should be the "User logon name (pre-Windows 2000)" property from Active Directory User properties. The "User Domain Name Login" is case insensitive. It should not be duplicated (use same domain name for different accounts) in one membership. You need to setup all accounts for ADFS login. 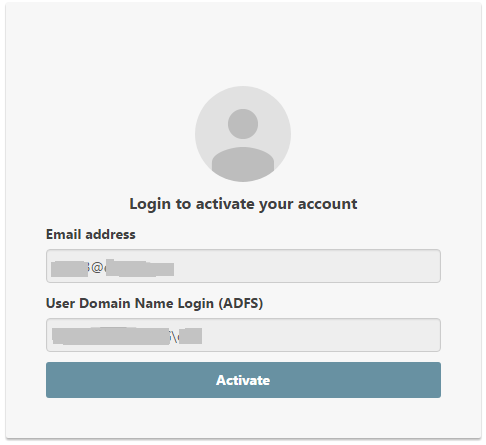 Once user account created, the user will receive an activation email, click "Click to Activate" button in the email. Then in the activation page, click "Activate" button. If this membership is configured to use Single Sign On with ADFS, the user will need to enter tjheir User Domain Name Login and click "OK" to join the membership. 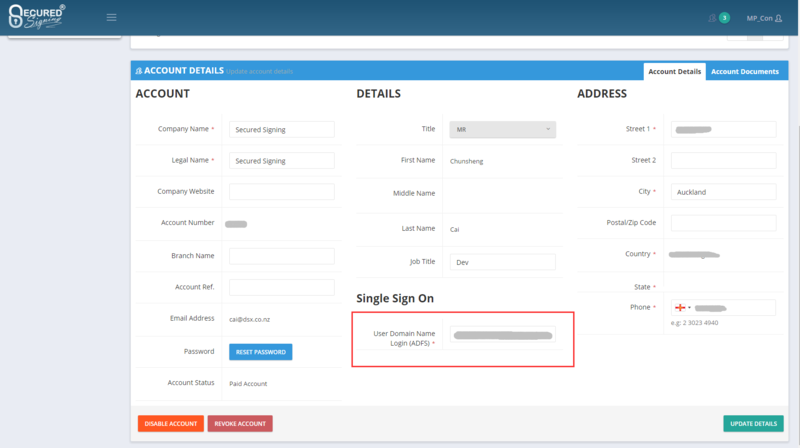 Once single sign on is enabled, the first time each user accesses Secured Signing they will need to input their email to login. A password is not required. The system will check if Single Sign On is enabled for this user. If so, it will redirect to your ADFS server website. 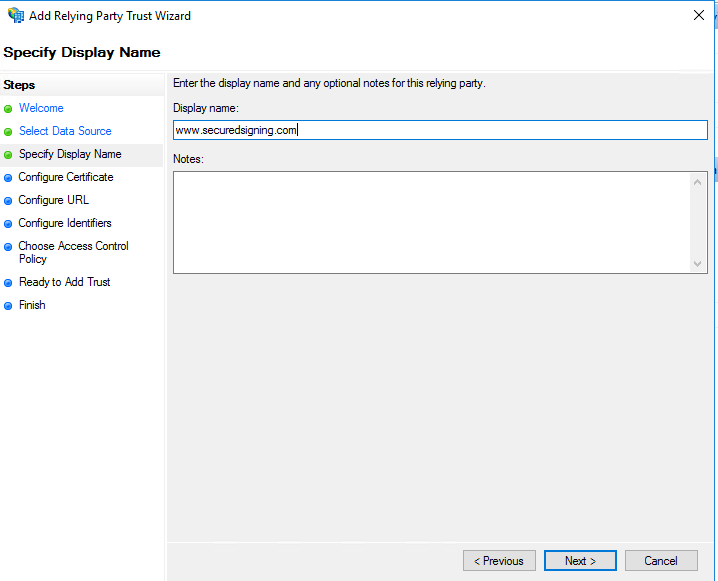 Then the user input his/her windows logon credential to login with your ADFS server. 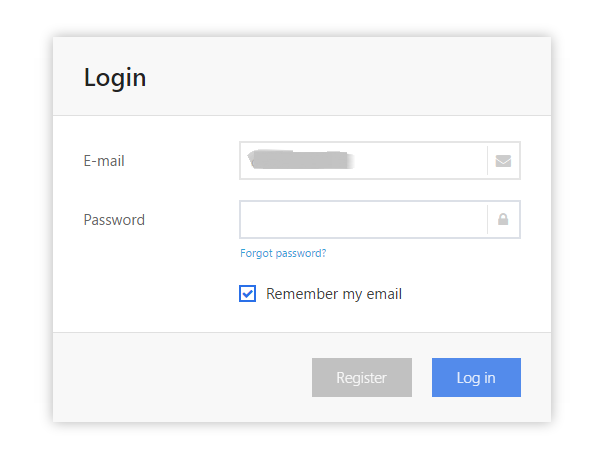 The user can check the option to "Remember my email" to login with ADFS next time. Once the user has logged in with ADFS successfully, the user will be redirected to Secured Signing. On subsequent logins, the user's domain name will be remembered. 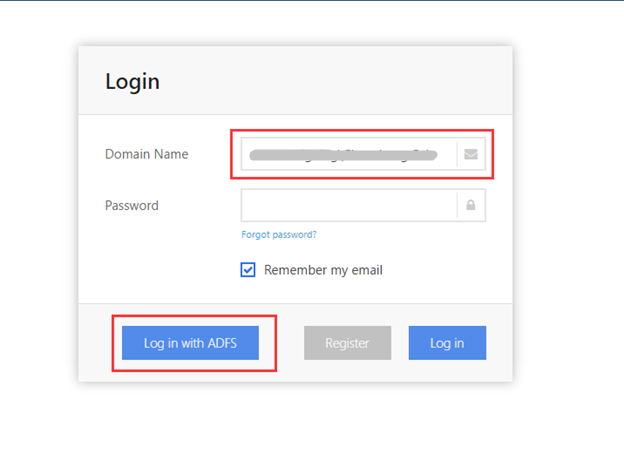 Click "Log in with ADFS" the user will be logged in to Secured Signing using the domain name to login. Please notice that, with this option, you should logon to windows with your own account to login with ADFS. Otherwise, you may see an error saying "Cannot login, use your own computer to retry or contact your administrator. ".